Happy Easter to everyone here! Adding her name to a long list of notables, Hillary Clinton has accepted the invitation of the prestigious Grand Rapids Economic Club where she will be the guest of honor at their 26th Annual Dinner this June. GRAND RAPIDS, MI — Hillary Clinton, former secretary of state to President Barack Obama, will attend the Economic Club of Grand Rapids’ 26th Annual Dinner this summer. The Club announced Wednesday that Clinton, a former U.S. senator for New York, will be guest of honor at the Monday, June 17, event in the Steelcase Ballroom of DeVos Place. Only Economic Club members are able to attend. If Bill Cinton sneezes, does it mean Hillary is running? Welcome to allergy season 2013! What the connection could possibly be between Bill Clinton delivering a commencement address and our esteemed Hillary making a run for the White House in 2016 is no clearer in this article than it is in the header. 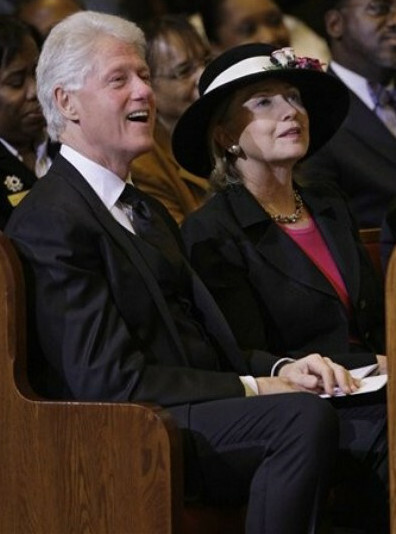 It seems that anything Bill Clinton does lately is caught on the Hillary 2016 watch seismograph and must mean something! But what? Seismologists at the Columbia University Lamont-Doherty Earth Observatory in Palisades NY may not be paying attention, but clearly the Clinton-watchers are. Former President Bill Clinton will deliver the commencement address at Howard University on Saturday, May 11. Does the former President’s speech indicate the slow but steady ramp up to a 2016 presidential run for his wife, former Secretary of State Hillary Clinton? 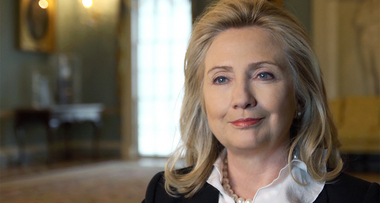 last week, Hillary Clinton announced her support of gay marriage in a video announcement. It makes you wonder whether logic is still part of the curriculum at any level anywhere. 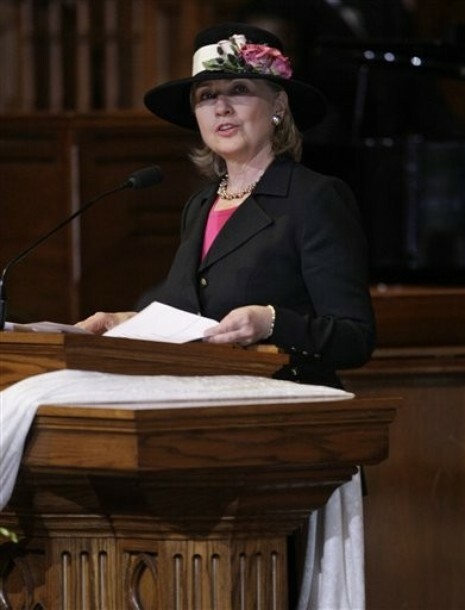 The connection between the commencement address and any clue of Hillary making a run in 2016 is comedic enough to generate some humorous fake-headers from our Jen the Michigander. Poll: Who Is Your Favorite Modern Secretary Of State? 1. George C. Marshall. Served 1947 – 1949. As Harry Truman’s secretary of state, Marshall’s Plan rebuilt Europe after World War II, and he was later awarded a Nobel Prize for his efforts. 2. Henry Kissinger. Served 1973 – 1977. The high-profile secretary for Richard Nixon and Gerald Ford, Kissinger was a career diplomat who pioneered the policy of detente with the Soviet Union. 3. George P. Shultz. Served 1982 – 1989. Only one of two people to serve in four different cabinet positions, Shultz led the State Department for most of the Reagan era. 4. Madeleine Albright. Served 1997 – 2001. The first woman to serve as secretary, Albright played an important role in the Clinton administration. 5. Condoleezza Rice. Served 2005 – 2009. A Shultz protégé, Rice first served as President George W. Bush’s national security adviser before becoming secretary of state. 6. Hillary Clinton. Served 2009 – 2013. The former first lady served in the Senate and then became the most-traveled secretary ever as part of the Obama administration. Pick your favorite in our poll below, and check back each day to see a new March Cabinet Madness vote! Since Jennifer Rubin has elaborated her attack on Hillary Clinton’s legacy at the State Department, I am compelled to take on her latest barrage, but the truth is that she is becoming repetitive and tiresome with her empty bloviating. It is astounding that she gets paid to write this tripe. 1. 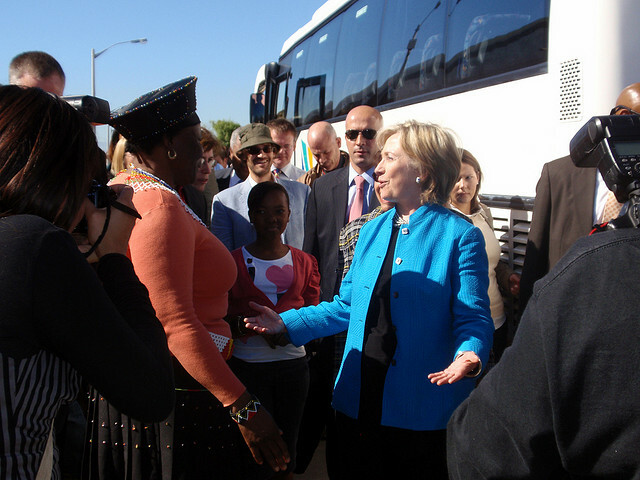 She insisted we side with Hugo Chavez’s stooge in Honduras…. I just finished a productive meeting with President Zelaya. We discussed the events of the past nine days and the road ahead. I reiterated to him that the United States supports the restoration of the democratic constitutional order in Honduras. 3. She couldn’t manage to figure a way to reach agreement with Iraq on a status-of-forces deal. She was Secretary of State not Secretary of Defense, but for some reason there was a great deal of pressure on her to take up defense issues. Iraq did not become her operation until August 2010 when the last troops pulled out. 4. Speaking of which, Clinton assured us for months that Assad was a “reformer.” She dragged her feet and then was rebuffed three times by the un-reset Russians at the United Nations. She delayed in reaching out to the Syrian rebels and in providing aid. She left a human catastrophe of 70,000 dead Syrians and millions of refugees streaming into Syria’s neighbors. A. She did not call him a reformer. She was quoting others who had visited Syria. B. Oh, it is simply too much. Here is the entire archive here on Syria – everything she said, did , and every trip to meetings of Friends of the Syrian People. C. Hillary Clinton did not kill 70,000 Syrians or displace anyone. Assad’s regime did that. 5. Also among the dead in the Middle East, of course, was Ambassador Chris Stevens …. Once again, she did not kill her friend Chris Stevens. Her requests for diplomatic security funding were twice cut by the very Tea Party Republicans who attacked her on Benghazi. 6. She dispatched George Mitchell as her special envoy for the Middle East, who promptly became persona non grata with both Israelis and Palestinians. Her shrieking about settlements only alientated the administration from both sides. (This approach was renounced by the president in his recent Mideast trip.) She ambushed Israeli Prime Minister Benjamin Netanyahu on the eve of his trip to the White House to tell him, that oh yes, the president would be publicly announcing that U.S. policy was to begin negotiations at “1967 borders” with land swaps. One of the problems with what Rubin states is the overwhelming absence of any evidence whatsoever. George Mitchell promptly became persona non grata? That would have barred him from entry to the region. So how is it that he visited on a frequent basis with and without Mme. Secretary? These entries refute that claim. “Shrieking” about settlements? And where is the chapter and verse of Obama’s renunciation? Here is what he said. Israelis must recognize that continued settlement activity is counterproductive to the cause of peace, and that an independent Palestine must be viable– that real borders will have to be drawn. As for those 1967 borders with land swaps that has been U.S. policy through several administrations, there is this. 7. The administration was largely moot during Iran’s Green Revolution in June 2009…. Oh, smh, I did address this in the last post. … the State Department did what it could in the face of a silent, hesitant President during the Green Revolution. Aware that people in the streets of Tehran and other cities were depending on Twitter to communicate life-and-death information and learning that Twitter intended to close down for maintenance, Hillary Clinton prevailed upon Twitter to leave the lines of communication open. They did, as those of us who spent those weekends retweeting important tweets from Iran can attest. 8. Her reaction to the Egyptian revolution, and indeed to the entire Arab Spring, was incoherent and meek. Hillary Clinton spoke out to Arab leaders and elders long before these revolutions broke out and to some criticism. No two revolutions were alike. To suggest that there could have been a template that would have addressed them all is naive. The Arab world is no more homogeneous than Latin America is, and no cut-and-paste solutions would have been effective, as P..J. Crowley noted today on Bashir Live with Karen Finney. Two years ago this week, Hillary engaged in an exhausting week of shuttle diplomacy an finally accomplished an agreement to a no fly zone over Libya. 9. She did not restore our “standing in the world,” as she vowed to do. Once again, no evidence is offered for this sweeping assertion. It would take a boatload of links to counter it, but if you search this blog at your leisure you will find four years’ worth of strategic dialogues, memoranda of understanding, and bilateral and trilateral agreements that attest that she reached out to countries previously neglected. 10. Early in her term she sent a terrible message by informing the Chinese that human rights shouldn’t be allowed to get in the way of relations between the countries. Right. That is how this happened. She never ceased talking human rights with Chinese officials behind closed doors and stated that numerous times. Rubin’s war on Hillary Clinton’s State Department legacy is feeble, boring, and redundant. She needs to turn her sights elsewhere. Her attacks are lame with lack of substantiation and a surplus of broad implication that goes unattributed. Hillary Clinton did better than this and deserves better. Great job, Mme. Secretary! Thank you! On a related and very heartening note, there was this affirmation of Hillary’s legacy today by Grace Meng (D -NY). Rep. Grace Meng announced in a press release this morning that she’s co-sponsoring a bipartisan bill “to prevent another Benghazi,” referring to the attack in Libya that killed four American diplomatic personnel last September.